Aim: To evaluate the factors that motivate and discourage medical and nonmedical students from donating blood voluntarily and to assess the level of awareness and knowledge regarding blood donation. Materials and Methods: We conducted a cross-sectional descriptive study from August 2011 to May 2012 across different universities of Karachi covering both private and public sector. Predesigned questionnaires were filled by students. A total of 690 students participated in the study, 345 from each. Data collected was analyzed using SPSS Version 17.0. Simple frequencies and percentages were calculated, and Pearson Chi-square and Fisher's exact tests were applied to calculate association between different variables with P value set as significant when <0.05. Results: Mean age of the students was found to be between 21 and 23 (64.6%) in medical, whereas in nonmedical, 66.7% fell in this age group. Astonishingly, blood donors in nonmedical (27%) were quite more than that in medical group, where they were only 18%. Males constituted the majority in both of the groups. Most commonly reported factor that motivated blood donation in medical group was feeling of self-satisfaction (40.2%), whereas in nonmedical group, 32.9% reported that they had only donated blood when their friends/family were in need. When asked about the adverse effects after blood donation, weakness was common among both medical and nonmedical, i.e. 46.8% and 46.7%, respectively. Among the factors that impeded our subjects from donating blood were primarily health concerns in medical students (19%), whereas in nonmedical students they claimed they were not approached by anyone and were unaware of the importance of blood donation (34.8%). Conclusion: Proportion of blood donors was significantly low in both medical and nonmedical students, especially in females. Most important motivating factor in medical students was feeling of self–satisfaction, whereas in nonmedical students, it was family/friend in need of blood transfusion. Never approached by anyone/awareness about the importance of donating blood was the major discouragement factor seen in both medical and nonmedical groups. Background: Guillain–Barre syndrome (GBS) is an autoimmune acute inflammatory demyelinating polyneuropathy affecting the peripheral nervous system treated with high-dose immunoglobulin, physical therapy, or plasmapheresis. Immunoglobulins are expensive and even plasmapheresis might not be affordable to patients visiting government set-ups.Aims: This study was undertaken to emphasize the efficacy of plasmapheresis in treatment of adult GBS patients and to narrate methods of reducing the economic burden in the treatment of these patients using modified plasmapheresis. Methods: A study was conducted on 12 adult GBS patients at Sir Takhtasinhji General Hospital, Bhavnagar from July 2012 to July 2014. Patients were assessed on a 6-point disability scale. They were treated with plasmapheresis over 10 days with REF627 kit from Haemonetics Corporation Limited on MCS+ machine. Improvement was noted by the change in the disability scale score and expenses of various modes of treatment were also considered. Results: Seventy-five percent showed improvement at the end of the treatment. The cost of modified plasmapheresis was Rs. 8000/cycle, i.e., Rs. 40,000/patient. Conclusion: Plasmapheresis along with proper supportive measures is a more cost-effective efficacious mode of therapy in adult patients of GBS. Further, modified plasmapheresis using REF627 kit and 6% hexastarch as replacement fluid on MCS+ apheresis machine reduces the cost of therapy for poor patients visiting government set-ups. Context: Blood donor selection criteria based on science and regulatory rules influence donor as well recipient safety and demographics. Aim: To evaluate and analyze the blood donor deferral pattern and its causes among blood donors in a tertiary care hospital blood bank and to review its influence on blood safety. 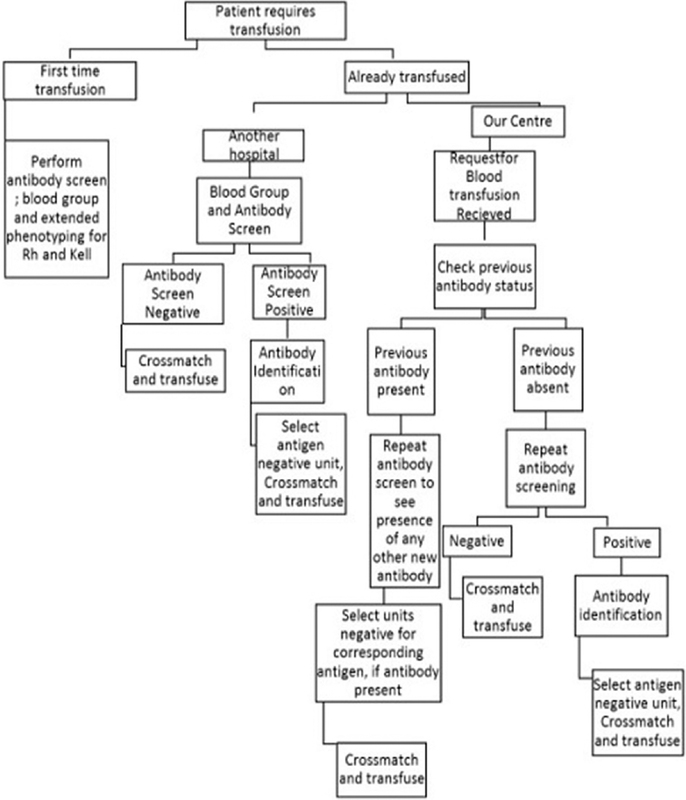 Settings and Design: Hospital based blood bank, retrospective analysis. 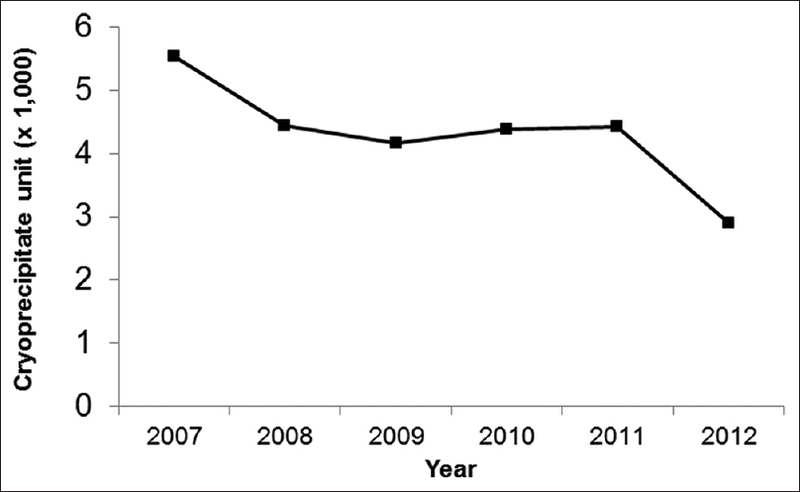 Subjects and Methods: The data available as donor deferral record over a period of 13 years from 2001 to 2013 was analyzed. Results: The blood donor deferral rate was 11.5%, the deferral rate in various categories was 4.8%, 4.7%, 1.6%, and 0.3% in Category 1, Category 2, Category 3, and Category 4, respectively. The majority of deferrals were temporary deferrals (62.8%) of young donors. The maximum number of donors deferred (28.2%) due to a history of jaundice (permanent) followed by 19.4% due to low hemoglobin (temporary). 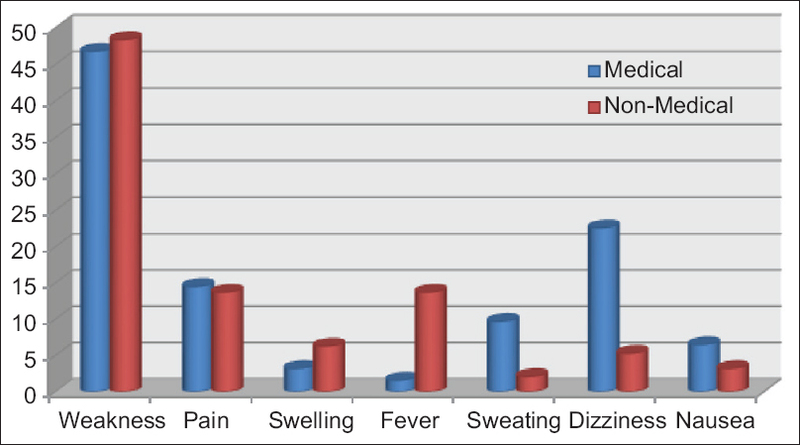 History of malaria, intake of medicines, infections, underweight, last blood donation within 3 months (temporary deferral), and history of heart and lung diseases, diabetes, and with suspicious identity (permanent deferral) were other major causes identified. Conclusion: The pattern of donor deferral identified is an important tool for blood safety and also provides key areas to focus on a region or policy formulation nationally for donor selection as well ensure donor safety. The value of determining donor deferral pattern by the categories described is in calling back donors deferred due to temporary reasons and can help retain pool of motivated blood donors. Background and Objectives: This study was conducted to assess the efficacy of Mirasol pathogen reduction system for platelets aimed at preventing bacterial regrowth by spiking buffy coat pooled platelets (BCPP) with clinically relevant load of Staphylococous epidermidis. Materials and Methods: BCPP units were prepared using Teruflex BP-kit with Imugard III-S-PL (Terumo BCT, Tokyo, Japan). Two BCPP units were pooled, of which 40 ml of negative control (NC) was removed. 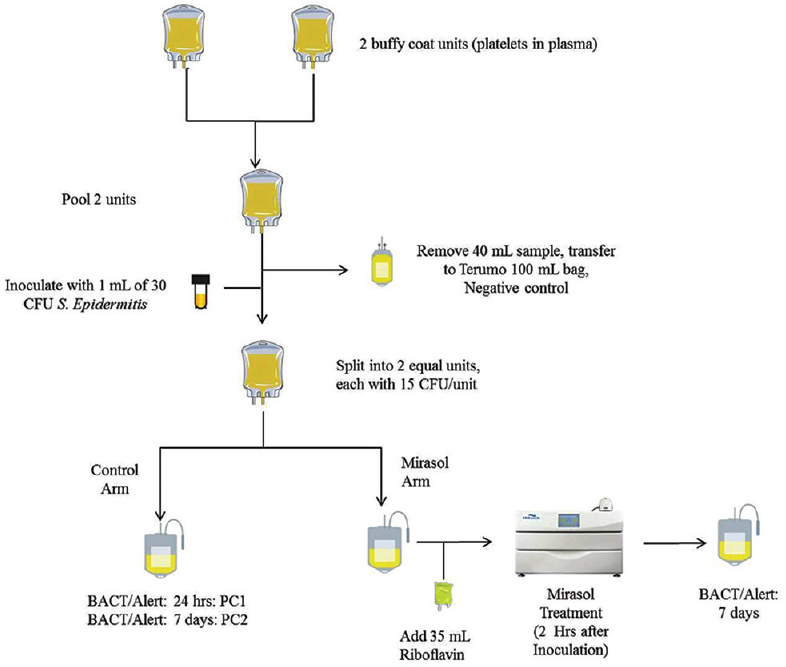 The remaining volume of the platelet unit was inoculated with clinically relevant load of bacteria (total of 30 CFU of S. epidermidis in 1 ml); following this the platelet unit was split into two parts. One part served as positive control (PC) and the other part was subjected to pathogen reduction technique (Mirasol PRT, CaridianBCT Biotechnologies, Lakewood, CO, USA). Bacterial detection was performed using BacT/ALERT system, controls after day 1 and day 7 following inoculation of bacteria and on day 7 for Mirasol-treated unit. Results: Of the 32 treatment cycles, 28 were valid and 4 were invalid. No regrowth was observed in 96.4% (27 of 28) after treatment with Mirasol pathogen reduction system. Of four invalid tests, on two instances the NC showed growth, whereas in other 2 no regrowth was detected in 7th day PC. Bacterial screening of PCs by BacT/ALERT after 24 h of incubation was 28.6%, whereas the effectiveness increased to 100% when incubated for 7 days. Conclusions: Mirasol system was effective in inactivating S.epidermidis when it was deliberately inoculated into BCPP at clinically relevant concentrations. Such systems may significantly improve blood safety by inactivating traditional and emerging transfusion-transmitted pathogens. Background: Confidential unit exclusion (CUE) system has been designed to enhance transfusion safety as an extra additive approach. Aims: This study was designed to survey demographic characteristics, prevalence of serologic markers, and reasons of opting CUE. Materials and Methods: The cross-sectional study was performed at Shiraz Blood Transfusion Center (Southern Iran). CUE is used for all individuals who refer for blood donation, and donors can choose their blood not to be used if they have any doubt about their blood suitability for transfusion. The prevalence rate of HIV, hepatitis B virus (HBV), and hepatitis C virus (HCV) was compared between the blood donors who opted into and out of CUE. Then, the donors were contacted to give another blood sample and the reasons of deferral. Researchers also determined whether their reasons were logical or not. Data were analyzed using comparison of proportions in MedCalc software 7. Results: Out of all the donors, 2365 ones (2.3%) opted for CUE. CUE was more frequent among men, singles, donors with low education levels, between 18 and 25 years old, and with history of previous donation (P < 0.05). The prevalence rate of HCV was higher among the donors who opted for CUE (P < 0.05), but it was not the case regarding HBV and HIV (P>0.05). Furthermore, 91.5% of the donors had opted for CUE by mistake and only 8% had chosen CUE logically. Conclusion: It is necessary to review the process of CUE, make some changes both in procedure and design, and then survey its effectiveness in blood safety. Introduction: Transfusion support is vital to the management of patients with liver diseases. Repeated transfusions are associated with many risks such as transfusion-transmitted infection, transfusion immunomodulation, and alloimmunization. Materials and Methods: A retrospective data analysis of antibody screening and identification was done from February 2012 to February 2014 to determine the frequency and specificity of irregular red-cell antibodies in multitransfused liver disease patients. The clinical and transfusion records were reviewed. The data was compiled, statistically analyzed, and reviewed. Results: A total of 842 patients were included in our study. Alloantibodies were detected in 5.22% of the patients. Higher rates of alloimmunization were seen in patients with autoimmune hepatitis, cryptogenic liver disease, liver damage due to drugs/toxins, and liver cancer patients. Patients with alcoholic liver disease had a lower rate of alloimmunization. The alloimmunization was 12.7% (23/181) in females and 3.17% (21/661) in males. Antibodies against the Rh system were the most frequent with 27 of 44 alloantibodies (61.36%). The most common alloantibody identified was anti-E (11/44 cases, 25%), followed by anti-C (6/44 cases, 13.63%). Conclusion: Our findings suggest that alloimmunization rate is affected by underlying disease. Provision of Rh and Kell phenotype-matched blood can significantly reduce alloimmunization. Background: Red cell alloimmunization is an acknowledged complication of blood transfusion. Current transfusion practices for thalassemia do not cater to this risk. Serological phenotyping is usually not reliable in these cases unless performed before the first transfusion. Under such circumstances, molecular blood grouping is an effective alternative. Aim: To perform molecular blood group genotyping in chronically transfused thalassemia patients and assess the risk of antigenic exposure and incidence of alloimmunization with current transfusion protocols. Materials and Methods: Molecular blood group genotyping was performed for 47 chronically transfused thalassemia patients. Their 1-year transfusion records were retrieved to assess the antigenic exposure and the frequency thereof. Results: Of 47 patients, 6 were already alloimmunized (3 with anti-E and 3 with anti-K) and were receiving the corresponding antigen negative units. We observed that random selection of ABO and Rh D matched units resulted in 57.7% ±8.26% chance of Rh and Kell phenotype matching also. Forty-four patients had received one or more antigenic exposures at least once. The 6 already alloimmunized patients were further exposed to antigens other than the ones they were immunized to. During the study period, only one patient developed an alloantibody, anti-E with exposure to antigens C (92%) and/or E (32%) at each transfusion. Conclusion: Several factors apart from mere antigen exposure may influence the development of alloimmunization as most of our patients received antigenic exposures but not alloimmunized. Our data provide an impetus for future large-scale studies to understand the development of alloimmunization in such patients. Background: Cryoprecipitate is generally used to treat bleeding patients with hypofibrinogenemia, and the transfusion decision is guided based on published guidelines. Aim: This study aimed to evaluate the practice appropriateness in accordance to cryoprecipitate transfusion guidelines in Hospital Kuala Lumpur. 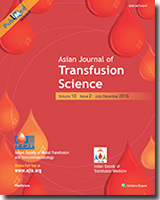 Methodology: This cross-sectional study of 117 cryoprecipitates transfused adult patients was conducted in Kuala Lumpur Hospital from January to June 2012. The compliance of the indication of cryoprecipitate was considered as appropriate if indicated for patients who have hypofibrinogenemia (<1.0 g/L) with bleeding, or otherwise inappropriate if pretransfusion fibrinogen level was more than 1.0 g/L, pretransfusion fibrinogen level was not examined and posttransfusion fibrinogen level more than 1.5 g/L. Results: Most of the cryoprecipitate prescriptions were found to be inappropriate, which read 81.2% (95% confidence interval = 0.740, 0.880). Patients who underwent neurovascular surgery were the major recipient of cryoprecipitate, but majority of the prescription was found not appropriate. The decision to transfuse cryoprecipitate was found mostly appropriate when was guided by fibrinogen (52.2%), but the percentage dropped to 10.6% when pretransfusion fibrinogen test was not performed. Regrettably, only 19.7% of total cryoprecipitate were given based on pretransfusion fibrinogen level. Conclusion: Although this study showed a high rate of inappropriateness, no reduced therapeutic efficacy, and adverse effect were reported. The trigger threshold needs to be revised before enforcing stringent implementation of practice guidelines for ensuring optimal use of cryoprecipitate. Sickle cell disease (SCD) is autosomal recessive, genetically transmitted hemoglobinopathy responsible for considerable morbidity and mortality. It is prevalent in many parts of India including Central India, where the prevalence in different communities has ranged from 9.4% to 22%. Perioperative management may include transfusion of red blood cells. Hemolytic transfusion reactions can occur, and these can be either acute or delayed. We present a case of delayed hemolytic transfusion reaction in a patient with SCD. A 72-year-old female with co-morbidities posted for surgical correction of fracture neck of femur without any history of transfusions was noted to have a hemoglobin level of 7 g/dl and packed red blood cells transfusion was ordered. Pretransfusion tests demonstrated A1B group with D positive on forward grouping. Reverse grouping showed a varying grade of agglutination with A, B, and O cells. Agglutination being stronger at 4°C. Antibody screening showed pan-agglutination, direct Coomb's test and auto control were negative. The serum reacted with adult O cells (OIadult) but not with adult Bombay cells (Oh Iadult) or O cord (Oicord) cells. A possibility of a compound cold antibody anti IH was made and A1B compatible cells were transfused to the patient. 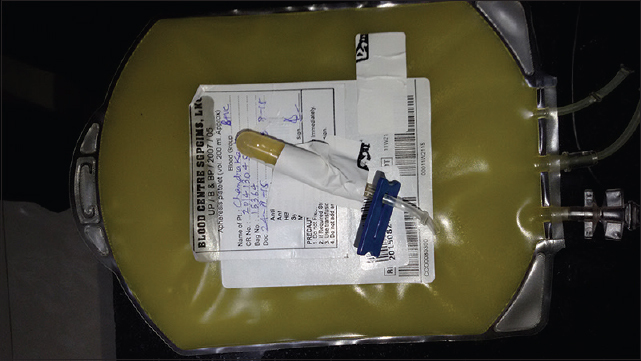 This case report illustrates anti-IH cold agglutinin with broad thermal amplitude. Uniqueness of this case report was O group incompatibility with A1B group, which was detected earlier and a catastrophic transfusion reaction being subverted. Immune thrombocytopenic purpura is a common acquired autoimmune disorder defined by a low platelet count secondary to accelerated platelet destruction or impaired thrombopoesis by anti-platelet antibodies. Thrombopoietin (TPO)-mimetic drugs such as eltrombopag and romiplostim have been used successfully in many nonpregnant individuals with immune thrombocytopenia (ITP) but studies based on its effects in pregnancy are limited. 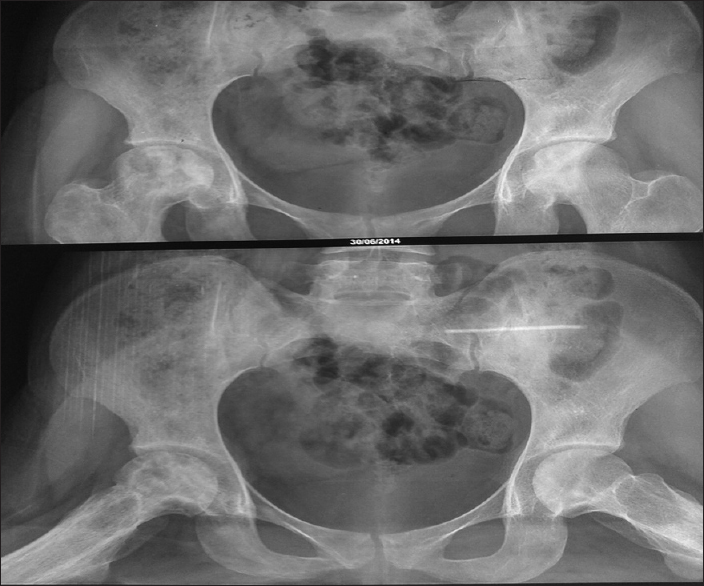 A 27-year-old multigravida who is a known case of ITP with bad obstetric history was referred to the Department of Obstetrics and Gynecology at 26 weeks of gestation with complaints of mucosal bleeding and recurrent abortions. After 2 weeks of hospital stay, the patient did not respond to treatment with steroid and immunosuppressant. There was a rapid decline in platelet count with mucosal bleeds for which she required frequent platelet transfusions. Due to high costs, short action periods, and other potential maternal and fetal side effects of intravenous immunoglobulin (IVIgG) and anti-D, it was decided that TPO-mimetic drug eltrombopag would be given. After starting treatment with eltrombopag, the patient's platelet count could be maintained between 30,000/μl and 50,000/μl. At 36 weeks of gestation following preterm-induced vaginal delivery, she delivered a male active baby weighing 1.86 kg with an Apgar score of 8/10. After delivery, her platelet count was 60,000/μl. Eltrombopag is a thrombopoietin receptor agonist. It has been assigned to pregnancy category C by the Food and Drug Administration (FDA). There are no adequate and well-controlled studies of use of eltrombopag in pregnancy. In our case, the drug was given in the last trimester of pregnancy and the mother and baby were in good health at the time of discharge from the hospital and during follow-up. Anti-M antibody, which is not reactive at 37°C, is not clinically significant. Reports of clinically significant anti-M antibodies causing hemolytic disease of the fetus and the newborn (HDFN) and delayed hemolytic transfusion reaction (DHTR) are available. We report 13 cases of anti-M antibodies reactive at room temperature (RT) and at 37°C. These were found in patients of varied age groups (11 months to 85 years) with varied clinical diagnosis. All the female patients were multigravida. In all cases, antibody screening was positive at RT as well as at the indirect antiglobulin test (IAT) phase. Providing “M”-antigen negative transfusions is the best therapy in this situation. Provision of red blood cell (RBC) antigen phenotyped donor registry shall ensure quick provision of antigen-negative blood for transfusion in emergency situations. Introduction: Red cell allo- and auto-immunization is a well recognized problem in multi-transfused thalassemic patients. We conducted this study on 301 multi-transfused thalassemic patients under the Thalassemia Transfusion Programme of Advanced Pediatric Centre of PGIMER. Aims and Objectives: The study was designed to determine the frequency of alloimmunization and autoimmunization in multi-transfused thalassemic patients and to establish the specificity of alloantibody to red cell antigens, if alloimmunization is detected. Materials and Methods: The antibody screening was performed by the conventional tube technique using commercially available three cell screening panel (Diamed Switzerland) by saline, low ionic strength solution (LISS) and albumin indirect antiglobulin test (IAT). Samples with alloantibodies were then tested with red cell identification panel to determine the alloantibody specificity. Autoantibody screening was performed by direct antiglobulin test (DAT) during pre-transfusion testing. Results: Of the 301 patients, 52 (17.28%) were found to have antibodies (-allo and –autoantibodies). A total of 11 red cell alloantibodies were detected in 10 patients and the specificities were anti-Kell in 6(54.5%), anti-D in 2(18.2%), anti-c in 1(9.1%) and a combination of anti-E (9.1%) and anti-Jkb in 1 (9.1%) patients. DAT was positive in 48 (15.9%) patients. The frequency of autoantibody was significantly higher in alloimmunized group as compared to non-alloimmunized group (60% V/s 14.4%). Also, the pre-transfusion hemoglobin was significantly lower in the immunized group (8.5 gm/dl V/s 9.0 gm/dl; p=0.03) than the non-immunized group. Conclusion: Based on these observations, we suggest antigen typing of all thalassemia major patients for ABO, Rh and Kell antigens before initiating transfusion therapy. Also, screening for allo- and auto-antibodies at regular intervals should be done prior to each transfusion.